Early Birds and Night Owls are clubs run by members of staff who care for pupils who attend Chalfont St Peter CoE Academy before the start and at the end of the school day. This service is offered to help parents balance work and family commitments, whilst providing children with a safe, relaxed and enjoyable environment. We are committed to provide activities and play opportunities for all children, regardless of race, religion, gender, culture, or ability. Any prejudice shown towards children, staff or visitors to the club will be challenged. We will work in a positive way to encourage children to participate, take a pride in themselves and to respect each other and the environment. Early Birds is open from 7.45am until 8.30am Monday to Friday term time only. The club takes place in the Da Vinci Suite that is accessed via the door in the top playground. Children can be dropped off from 7.45am and are cared for until 8.30am at which time they will go into the playground and join the other children arriving at school. Parents are required to sign their children into Early Birds when they drop off to ensure they have been safely handed over to a member of staff. The club will not be available on school inset days or if the school has to close for adverse weather conditions or any other emergency. Night Owls is open from 3.20pm until 5.00pm Monday to Thursday term time only. Children can join Night Owls from 3.20pm and can be collected any time up until 5.00pm at the latest. If a child is not collected by 5.00pm this will incur an additional charge. Parents are required to sign out their children when they are collected. The club will not be available on the last day of the Autumn, Spring or Summer term when the school closes at 1.30pm, and on school inset days or if the school has to close for adverse weather conditions or any other emergency. The Early Birds charge is a flat rate of £3.50. Early Birds sessions are charged at a flat rate of £3.50 regardless of when the child is signed in. The Night Owls charge for a full session is £7.50 and a half session’s charge is £3.50. If a child is collected before 4.00pm a half session will be charged. Children collected after 4.00pm will be charged at the full rate. However, if your child is attending an after school club and joins Night Owls after the club has finished you will be charged for half a session. Parents who fail to collect their child by 5pm will be charged an additional £5 for every 15 minutes after 5pm. As an example if your child is collected at 5.05pm you will be charged a late collection fee of £5; if your child is not collected until 5.20pm you will be charged a late collection fee of £10. Parents who are persistently late in collecting their children from Night Owls may not be allowed to continue to use the service. This must be completed before your child starts at the Early Birds or Night Owls Club. It contains all the required information for each child including contact details, emergency contacts and any special welfare needs for your child. This information is confidential. Parents are asked to complete a new registration form for every term that their children will be attending Early Birds and Night Owls and whenever there is a change of circumstances including contact details. 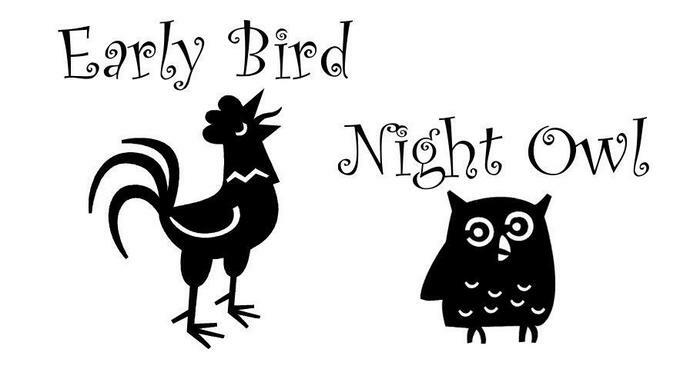 All children must be registered with Early Birds or Night Owls before a booking can be made. Bookings are taken on a first come first served basis, with priority given to siblings. Bookings are accepted for regular slots or on an ad hoc basis and can be made on a termly or weekly in advance. Bookings should be emailed to Mrs Nagle at g-nagle@csp-academy.org.uk. A booking form can be downloaded from the School Forms page on the website or by using the link at the bottom of this page. Please make sure that you notify the School Office if you wish to cancel a session. The school reserves the right to charge for a session if it is not informed of a cancellation. Payment for Early Birds and Night Owls sessions is made via your ParentPay account. Payment must be made in advance and we ask that regular users of this service keep their account topped up with enough credit to cover several sessions, topping up in blocks rather than for individual sessions. This will save parents having to keep topping up their account and will make the administration in school more efficient. The cost of the previous week’s sessions will usually be deducted from your account on Monday when the on-line register is updated. Parents can keep an eye on the credit balance available via the Transaction History tab on their ParentPay account. The School Office will inform parents if their account is in debit. If an account remains in arrears, the School reserves the right not to accept a booking until arrears are paid. All school policies including those regarding Safeguarding, Behaviour and Health and Safety continue to apply to the Early Birds and Night Owls clubs. If you have any questions or concerns about the clubs please speak to Mrs Broad, Headteacher.